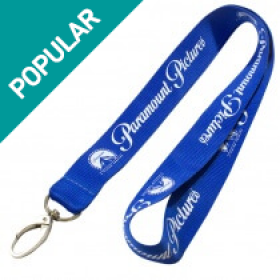 Promotional PVC Lanyards - the premium choice over standard polyester or nylon. 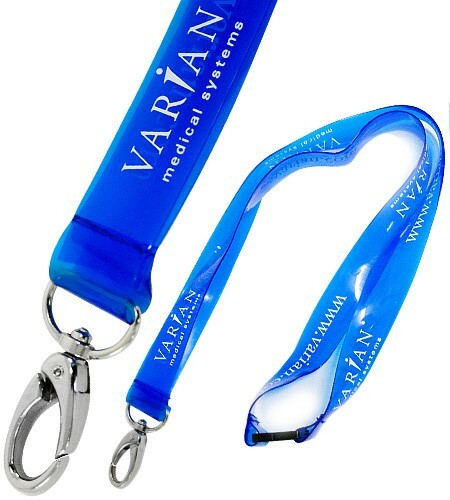 These high quality plastic lanyards are able to be washed while still retaining their vibrance, which is an excellent choice for medical industries or vets. They are able to be studded, shaped or stitched and provide a all-in-one choice for any client. We are able to screen print this outstanding product while also matching material to exact pantone colors. 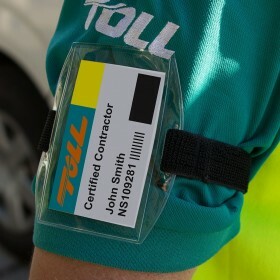 For companies with special and often times demanding roles, we offer the PVC lanyard. It is washable and able to be kept sterile, which is excellent for groups that work in infectious disease control, medical, food processing, various other job roles. PVC is an extremely versatile and durable material that has found application in various areas and industries such as healthcare, construction, electric cables and lanyards. Indeed, lanyards have been revolutionized rather significantly because they have harnessed the properties of PVC in many ways. The majority of bacteria can't live beyond 120°F. For this reason our PVC lanyards are designed to withstand boiling hot water as a wash method for sterilizing germs and preventing spread of infectious disease. • Durability of the product. • Customization according to your business requirements. • Bright and vibrant products that can serve as keepsakes for people as well. Not forgetting they still look awesome! Printed PVC lanyards can be customized perfectly. Therefore, you can choose the right kind of colors, according to the Pantone Matching System, that will help in reproducing your logo or corporate colors perfectly on the lanyard. 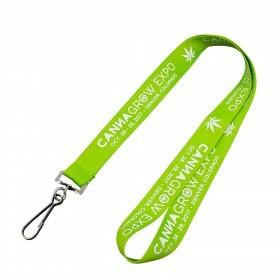 You can also choose from different widths of the lanyards according to the purpose. With high quality PVC lanyards, you can give them away as promotional items as well. Considering the fact that they are easy to maintain, you could also give them to medical professionals, people working in the manufacturing industry or operating machinery of various kinds and to anybody who will benefit from the fact that these lanyards are simple to maintain. Fittings of hooks and clips and even choosing different kinds of stitching patterns is something that can go a very long way in helping printed PVC lanyards look really good. It would be a good idea for you to look at the various images of promotional printed PVC lanyards in order to get an idea about which product will best fit your business requirements. You'll notice these lanyards have a stud holding them together, we can sew them. But its not as good for durability or longevity of the lanyard. For this reason we use a stainless or zync stud to clasp the lanyards together. This not only enable them to have a massive variety of clips and fittings which you will see above, but it insures the lanyards last! Contact us now, and our team can walk you through the entire ordering process. We literally do everything for you, from the design, invoicing, order placement and production everything is handled for you so that you get the exact PVC lanyards you need without having to waste any time worrying about the fine details.